Recycle Wood stove Insert Recycling in the Portland Metro is fast, easy and cost effective with SBC Recycling Services. 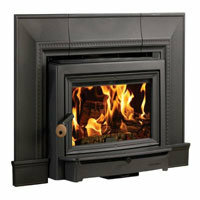 Easy to follow steps for recycling and hauling away your old uncertified wood stove insert. All Wood Stoves are recycled in accordance with DEQ and Oregon state laws. Same day pickup available. As of August 1, 2010, Oregon law requires you to remove and recycle an uncertified woodstove, as well as recycle wood stove inserts or fireplace insert if you are selling your home. Q – Do you pick up wood stoves from inside my house, what is the cost? A – Yes we can pickup the woodstove from inside your house, the cost depends on how difficult it is to move the wood stove to the outside. Factors that comes into play are stairs, narrow hallways, size of the actual stove, other furniture that might need to be moved, flooring etc. Q – Does the woodstove have to be disconnected? A – No the woodstove does not have to be disconnected, we can disconnect the woodstove for an additional fee, see previous FAQ. Q – If we fully disconnect it, would you pick it up from inside the house or would we need to get it to our curb? 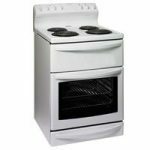 Q – Do you provide a receipt showing the stove has been destroyed? A – We work with many home owners and will provide you with the proper paperwork in accordance to DEQ requirements. Q – When and how will I receive the necessary documentation? What happens after you scheduled your Wood Stove Recycling Pickup?